Posted on 02/10/2015 by Jeremy Bailey	in Around Town and tagged alumni, running, THEALUMRUN, university. THEALUMRUN™ is coming to DC at the end of March. 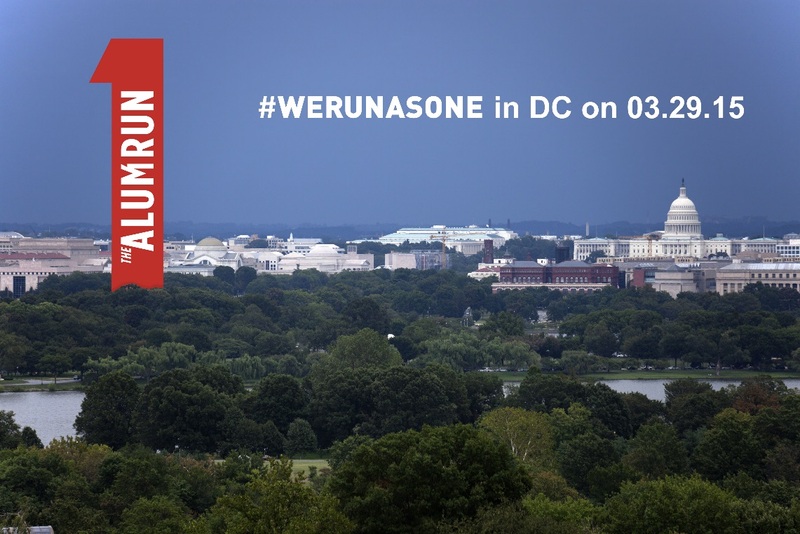 The first road race specifically focused on university alumni and college sports fans, THEALUMRUN will hold its inaugural event in DC on March 29, 2015. Participants can choose from a 5K or a 10K race. In addition, there will be a 1K future alumni fun run for children. After the race, runners can enjoy live music, a wellness village with group fitness options, a spa tent and much more. ParkLife DC: Why did you choose DC for the first THEALUMRUN? Craig: The other founders and I are from the DC area, this is our backyard. DC also attracts huge numbers of college grads, with a broad cross-section of people that love their schools. ParkLife DC: Where else will you host this racing events? Craig: We are planning for eight cities in 2015, including Richmond and Virginia Beach in Virginia, Philadelphia and even one on the West Coast in Portland, OR. ParkLife DC: What does it mean in the event bio to ‘raise money for their University’? Craig: Each participant has the opportunity to make a donation to their school’s Annual Fund or to their local scholarship fund. Many alumni chapters in DC have scholarship funds for local students to attend their university, including my alma mater, William & Mary. ParkLife DC: How do the School Teams work? Craig: Anyone can race, with or without a team, and any group can form a team. We encourage alumni chapters to form a team for their members, or multiple teams. Teams will receive shirts in their school colors. Team members can run either the 5K or the 10K. In addition, there will be a Reunion Party on the Friday before the race and a day of service on the Saturday, in support of a local DC charity, which we are finalizing now. ParkLife DC: I notice that you’re tracking school participation and fundraising on the website, is there any prize for being the top school in any category? Craig: It’s meant to be fun and for schools to have bragging rights. ParkLife DC: What should an alumni chapter do if they want to participate? Craig: Help spread the word. Get their members to run. Help generate volunteer support for the day of service. Put it on your calendar or share via your Facebook page or Twitter account. We can also provide a template for sharing key points.